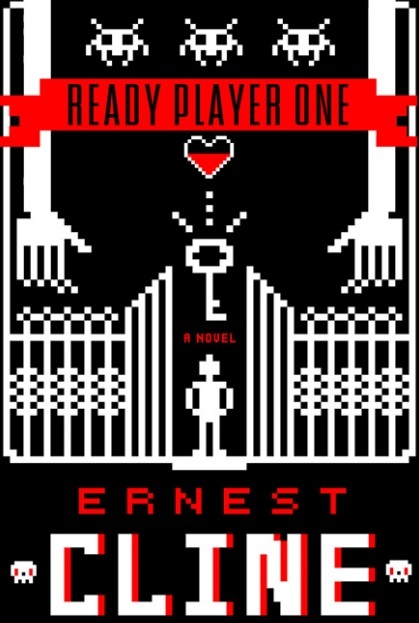 Ready Player One- Ernest Cline. I’m already recommending this to everyone I know. EVERYONE. *Deep Breath* Alternate Reality. Virtual Insanity.Scoreboards. Quests (More books should have quests).Good old fashioned competition. W-O-W. Aech. At3mis. Best friends forever. Corruption. Damn the Man. Eccentric Billionaires. Retro. Duran Duran. Matthew Broderick. Monty Python. Rush. John Hughes films. The most necessary game of Pac-Man in existence. Robots. Def Leppard. Spaced. I finally had a reason to spend half my night on YouTube. Originality. Easter Eggs. Rags to Riches. Commentary on human interaction. Cynicism. Avatars. I have honestly never read anything like this before and I loved every second of it. There is not a single doubt in my mind that this whole book is going to happen in the next 30 years….and I can’t WAIT. I’m coming up with my avatar name already. The wonderful Maja (The one who is solely responsible for turning me into a rabid fangirl with this book!) raised a good point in regards to the genre of this book and it has got me thinking a lot about whether I would class this book as YA. Not because of the subject matter (it is deliciously dark!) but because of all the 80s references that make up a huge part of this story. I’ve only just left (kicking and screaming) the realm of the true YA audience and a lot of the references were completely lost on me. And, like Maja suggested, I’m not sure whether someone, say, born in 1994 would understand all and I think their enjoyment could be limited to what they know about the in-jokes. I don’t mind saying that I read this book with Google open, not just because it would help me understand the story…. But because I wanted to find out about it. And also, hipsters are going to love this book. Sigh. Just because we have to tolerate them doesn’t mean we have to encourage them, guys! Wade Watts (called thus because his dad thought it “sounded like the secret identity of a superhero”) is an overweight eighteen year old from a trailer park who has an OASIS console permanently attached to his face. Kind of like this. He’s a loser and he’s cynical and he’s completely obsessed with completing Halliday’s quests, so much so that he has basically downloaded everything to do with the 80s to his brain. I think even if you don’t know a thing about computers, games, films or music… I think it’s impossible not to relate to and fall head over heels in love with Wade. Art3mis is the avatar that Wade has admired from afar across the artificially rendered plains of OASIS. Art3mis is cute, funny and a complete badass and gives a Wade a run for his money when it came to solving the quests. Which, of course, made me love them instantly. You all know I’m not a massive fan of irrelevant love interests and this almost fell into that category because this book had SO much else going on, there wasn’t really a need. But I liked the dynamic between the two of them and their exchanges often induced chuckling. I WANT AECH TO BE MY FICTIONAL REAL LIFE BESTFRIEND. Also, who do I write to to request for more baddies to say “Art thou ready?” before challenging protagonists to a due in books. I’m totally being lazy with this one seeing as it’s one of the first songs that are mentioned in this book. But I don’t care because it not only proves the aforementioned point about how fun it was to discover new songs that I was too young to hear the first time round… but it is also a spectacular song from a ridiculously cool era that I missed being part of by the skin of my teeth. Although saying that, this entire book provided me with the best sound track to my impromptu dance parties that I always never hold in my room. I’m determined to compile a ‘Ready Player One’ playlist as soon as I have a spare week or so. 6/10. Unless you are the type of person who gets emotionally involved in computer games, you’ll probably find this book quite tame in the angst levels. Sure there are some nail-biting moments but once you remember that it’s not even real within the book you’re reading… you’ll be fine. But, one of the parts that I really loved was the whole idea of human relationships vs relationships formed through avatars. In a world where most of the human race spend their time in an alternative reality, forming bonds with people who they don’t even know their real name/age/gender/race/occupation, the lines of who a person really is were continually blurred. I loved how Cline explored this idea of identity, human interactions and forming relationships based on how you want to be seen rather than who you actually are and all the insecurities you feel when you make that initial connection, whether online or offline. Anyone who has ever watched an 80s movie….and enjoyed it. 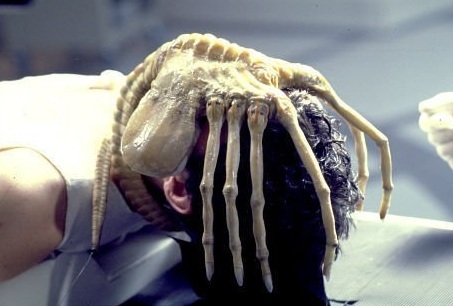 People who think Matthew Broderick is a grossly underrated actor. People who could quite happily go without seeing another real person for days on end. People who like microwave food and things that come in a can. People who think Duran Duran/ Rush/Def Leppard/Oingo Boingo/Mellancamp’s songs were written solely for you (I still maintain that Rio is all about me). People who love discovering new bands/films/books/comics. People who will always be jealous of people who have cool initials. People who find scoreboards oddly unnerving (Thanks for that Hunger Games.) People who wonder what happened to Robot Wars. People who find eccentric billionaires endearing. People who often wonder what they would like if they were pixelated. People who think that Dungeons and Dragons is a legitimate sport. People who have ever picked up a coconut and, after checking they’re alone in the house, galloped around the kitchen with them while wearing a helmet out of an empty Cocoa Pops box. I also found this. It is not only the coolest book site I have ever seen… but also maybe, definitely the coolest site I have seen in a long time. There are rankings of sideburns. Sideburns. I received a copy of this book from the publishers. It will be available to buy later this year.